Here at UKEdChat, we receive a lot of books to be reviewed – it’s one of the many advantages of informing the education communities. 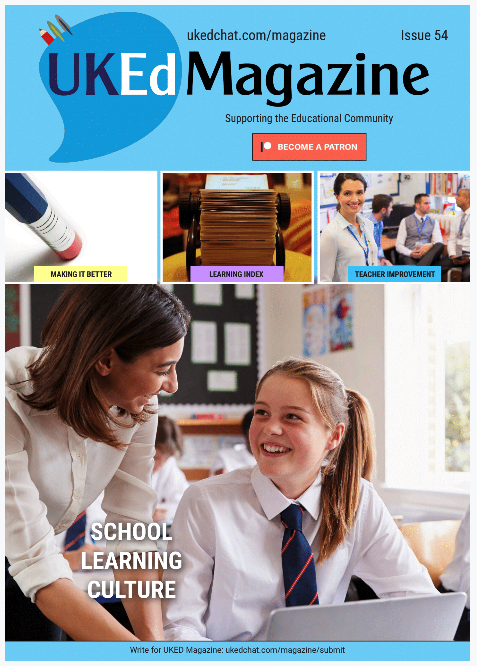 We receive books aimed at helping teachers enhance their teaching practice; books to be shared with pupils; books with resource ideas within; books with lesson ideas; books to help improve skills in a specific area, and many more. We love reading, so we enjoy these books, and are more than happy to review them. But, every now and then, we receive a book that actually stops you in your tracks, makes you think, and possibly changes your perspective on what is happening in society and education around you. 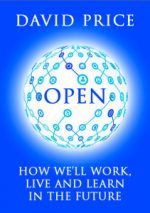 David Price, OBE, has achieved this in his fantastic debut book ‘Open: How we’ll learn, live and learn in the future’, a commentary about how the world is changing via unprecedented forces of communication, an urge for openness, and how a shift of power is being grabbed by the public. Look at the Middle East Arab Spring uprisings, spurred on open communications and a questioning of how things are being run in their countries. Much is aligned about social media’s darker side, but the greater good of a collective power can ignore a moral panic about the use, of which those in power like to play upon. There is an African proverb, “However loud an ant shouts from the ground, no one will hear it”, but together they are a resolute force working together for the good of their colony – teachers can, and should, take inspiration from this essentially for the good of their maligned profession. The power of social media is highlighted by Price who points out that many workers now consider Twitter as an “indispensable, if not primary, source of professional development”. As we witness with UKEdChat, this is completely true of educators who come together for online meet-ups with no one person able to hog the conversation, “People learn stuff, but they also share the small talk of friends”. Critics can be heard saying that tweeting may sometimes be the platform of the “self-aggrandisement of the self-opinionated”, but individuals soon learn to ignore these people, questioning the motivation of their tweets. The initiation of Personal Learning Networks (PLNs) within social media is the biggest disruptive innovation to hit workplace learning in 50 years, claims Price, with education organisations needing to widen their focus. However, there are leaders who have not learned socially themselves and fail to appreciate the scale of the shift taking place. It is hoped that this group of leaders will soon depart from the field, or persist in embracing the shift that is clearly evident. What has all this social change got to do with learning, teaching and education anyway? With the current emphasis on a narrow, facts-driven curriculum in many western societies, the book quotes one head-teacher, of a successful “outstanding” primary school in Stafford, who correctly asks, “Do we want a society that’s great at pub quizzes, or one that’s great at thinking and problem solving?” In the chase for accountability, sadly, many schools are choosing the former, rather than enhancing and developing the latter. This sorry state of affairs is highlighted by Price who cites the main issue of accountability being usually what is left after trust has been removed. This will resonate with many in the education field who feel that this trust has slowly, but surely, been eroded from them thanks to the media, politicians and a blame culture, that quickly blames the education system when there is a moral breakdown. Western politicians look towards the Far East, at countries doing well at PISA reading, writing and mathematical scores, whereas their contemporaries look at the West who enjoy better creative, problem-solving, and skills which encourage the ability to seek. Teachers are learning differently, through PLNs – as stated earlier – mainly through informal learning, with growth coming through personal commitment, not compliance – so why is there still resistance for education to change the ways in which teaching and learning takes place within schools? Much of this is to do with the accountability agenda, which many fear to stray, but Price highlights three innovative schools who have opened learning spaces which are more collaborative, less restrictive, but producing some of the most inspiring outcomes for their students. These school have based their school principles around an acronym (SOFT), focusing on Sharing, Openness, Free, and Trust (words which are verbs as well as nouns), actions as well as values. Reading the examples within the book offers inspiration, vision, and – most importantly – hope. 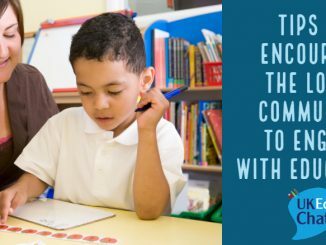 These schools have taken an element of risk, but the results are phenomenal. As teachers, many will be familiar to the term ‘pedagogy, but Price introduces (or reminds) educators of another ‘gogy’ term which needs to come into play for teaching practice, especially if a revolution of education systems is to be seen – ‘heutagogy’, which you are urged to explore further if you wish to innovate professionally. Modern education systems do not encourage this ‘heutagogic’ approach, but Price argues the case that children should be problem finders, not just problem solvers [citing Ewan McIntosh’s philosophy]. The mind is not a vessel to be filled, but a fire to be kindled. One final theme, within the book, which we would like to share is the viewpoint Price takes on the role of parents, as being key players in the role of education policies, especially in these times of teacher disaffection, strife and disputes. Parents are key players in the education debate, being “probably the only people that politicians will listen to. They need to become more vocal, and reclaim the ground in the debate around what good schooling looks like. Along the way, the language we use to describe learning has been reduced to letters and numbers.” To get the politicians on the side of teachers perhaps the attention should be greater discourse and connection with parents, who will fly the flags for teachers, rather than being charmed by the negative sound-bites about education and learning often spoted by politicians and journalists. We could go on, but that would be a disservice to Price and, if fact would go as far as to say that if you are only going to read one book this year, then this is the book you should take time out to spend with. 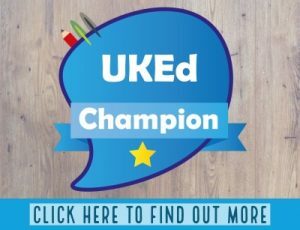 We could run a whole series of #ukedchat sessions based on the contents, so the debates could be continued with a profession who need to remind the positive impacts which can be made on lives.